The third annual Nike All-Ohio City Series finals in Columbus were marked by aggressive play, intensity, and a lot of young talent from the freshman class (2016). With teams from Columbus, Cleveland, Cincinnati, Dayton and Akron battling it out, the entire state was on display at Reynoldsburg HS. 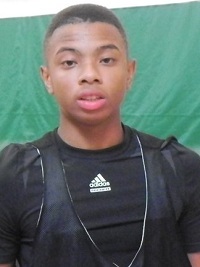 Ronnie Rousseau – ’14 Cincinnati Winton Woods PG: There might not have been an upperclassmen who improved their stock more over the weekend then Rousseau, a 5’11 scoring point guard. He’s a quick and skilled ballhandler that can create separation at will with his crossover, or just blow by you with speed, he shoots it very well past the three point line, and he is adept at drawing fouls and adjusting to contact in the lane. We’d like to see Rousseau continue to develop as a passer, but as a competitive scorer and playmaker he’s one of Ohio’s best floor generals in the junior class. Shemar Waugh – ’14 Columbus Northland PG: TDP has always been a Waugh fan because he constantly rises to the challenge at big events, the City Series finals were no exception. Playing at a high level all weekend long, Waugh was a defensive terror as he harassed opposing guards into turnovers. While he didn’t necessarily score the ball at a high level, Waugh was a good distributor who made his teammates better when dishing it off after penetration. Jae’sean Tate – ’14 Columbus Pickerington Central SF: Coming straight off the football field for some basketball, Tate was impressive in his form all weekend. Showing off his staple, his strength and leaping ability, Tate played above the rim on the fast-paced Columbus team, where he threw down some monster dunks and alley-oops. Playing on the high and low block offensively, Tate showed that quick spin ability to go by bigger opponents, and shot it well enough to keep defenders honest on the wing. Dazhontae Bennett – ’14 Dayton Trotwood Madison SF: Bennett has always been one of Ohio’s more talented 2014’s, but this past weekend he really put it all together. An elite athlete who plays above the rim on the break, Bennett threw down some impressive dunks. As well as he can get off the floor, Bennett is also an excellent set shooter from the three-point line. With consistency, and some work on his handle, he can easily become one of Ohio’s top junior wings this high school season. Xeyrius Williams – ’15 Dayton Huber Heights Wayne PF: What a difference a year of hard work can make. The 6’7 Williams has improved by leaps and bounds and should have a huge year at Wayne. Williams showed off improved athleticism, better strength, and a more polished inside and high post offensive game. As he always does, Williams was effective as a shotblocker; but what surprised TDP was his ability to step out and consistently knock down mid to long range jumpers. If Williams is shooting the ball that well in the winter at 6’7, watch out, because schools will come calling. Vonny Irvin – ’15 Cincinnati Princeton PG: Irvin has gone from unheard of to being in the conversation for a top ten spot in the Ohio 2015 PG rankings in the last two weeks, with superior play in the City Series tryouts and finals. A 6’1 slasher who has unbelievable court vision, Irvin has a knack for the flashy pass when attacking the lane. He can break defenders down off the bounce easily, is fluid in transition, and is not a bad shooter when he doesn’t settle for tough shots. Irvin has some fine-tuning to do, but will make a splash in the updated 2015 rankings. 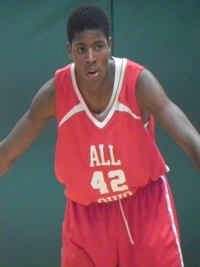 Esa Ahmad – ’15 Cleveland Shaker Heights PF: Ahmad earned MVP of the 2015 division as he led Cleveland to a championship. The 6’7 power forward, with legitimate wing skills, was really good all weekend in the pick and roll game as a screener; where he finished strong down low with dunks. Ahmad has been shooting the ball well all fall, and continues to improve his handle as he learns to attack from the wing. What TDP is impressed with is how Ahmad continues to score inside first to set the tone, then steps out and takes advantage of mismatches when guarded by bigger and slower players. Very efficient role player who knows how to play to his strengths at 6’5. Lillard is an excellent shooter out to the three-point line, can create a shot off of a bounce or two, and gives great effort in the all-around game. We like how he competes, and he is a prospect who could be due for a jump in the next set of rankings. James Manns – ’16 Columbus Marion Franklin PF: Intriguing big man that we hadn’t really evaluated before this weekend. Manns is a 6’7 forward who is good inside, but likes to play out on the wing. Playing at Marion-Franklin, where they have a ton of size, Manns should get an opportunity to show off his perimeter game as a freshman. What we saw was a nice skill-set for a freshman with that size, who once he learns to play under control can be an excellent combo forward and matchup nightmare. Seth Towns – ’16 Columbus Northland SF: The young fella from Columbus reminds us somewhat of OSU commit Marc Loving because he’s a 6’7 inside-outside forward who can really shoot the basketball. Towns should be an instant impact guy at Northland with his size, shooting ability, and strong offensive feel for the game. He’s a solid athlete, but if he gets better laterally and adds strength he’ll be an elite, elite prospect. Derrick Daniels – ’16 Dayton Thurgood Marshall PF: By far and away the best defensive big man that we have seen in the freshman class. The 6’7 Daniels is a high level shotblocker with excellent athleticism, improving offensive confidence, and toughness down low. While he’s still skinny, Daniels can get up and down with the best of them and was a more then efficient finisher; especially off of alley-oops from Dayton teammate Roderick Caldwell. Derek Funderburke – ’16 Cleveland St. Edwards C: Already standing 6’8, this long and mobile big man has a bright future ahead of him. Funderburke will have to continue to add strength to his game, but he can block shots, rebound, finish around the hoop, and doesn’t have bad touch from the mid-range area. If his body can add weight while still maintaining his athleticism then he should be an excellent long term post prospect in his class. 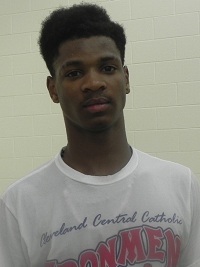 Trevell Beck – ’16 Cleveland Central Catholic SF: Beck is a 6’5 athlete with intriguing potential because of his length, leaping ability and developing skill-set. A high level competitor, Beck was at his best late in games. He showed the capability to hit shots from long-distance, attack off the dribble, and make defensive plays; making him one of Ohio’s most versatile in 2016. Willie Jackson – ’16 Cleveland Garfield Heights SF: One of the top athletes in the class, the 6’5 Jackson reminds us of former Garfield Heights star Tony Farmer with his combination of size, leaping ability and overwhelming strength. Jackson is still developing his skill game, but showed an improved ability to put it on the deck and attack the rim; while also efficiently scoring the ball around the rim using his physical gifts.